Ohio Basement Authority offers superior quality egress window installations in Greater Columbus. 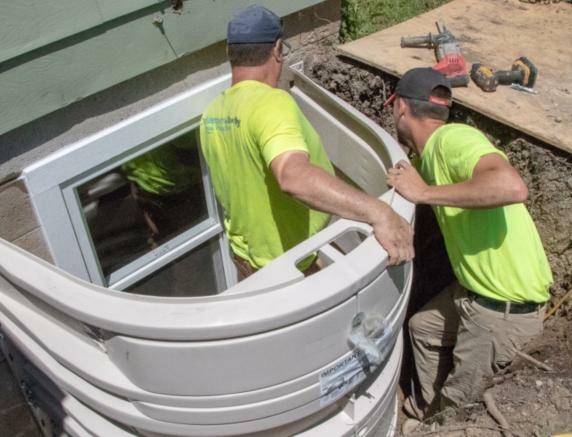 Building codes require finished basements to have an emergency egress window, or a window installed with a well that includes steps large enough to exit through. At Ohio Basement Authority, we take your family's safety seriously, so we offer the highest-quality basement egress windows that will not only provide a secure exit in the event of an emergency but will also allow for more natural light and fresh air in your below-grade space. If you have a finished basement or plan on adapting your below-grade space into a living area in the future, consider superior quality basement egress windows from us. We are certified egress window installers in Greater Columbus, including Springfield, Columbus, Mansfield, and nearby. Call 1-844-266-8310 or click below to schedule a free estimate today! Window wells must have a permanently affixed ladder or steps. Bilco Safety: Offers a unique "Grip/Step" design that features a convenient handle and gusseted step to meet egress building code requirements, providing a safe exit in an emergency situation. Durable Quality: Bilco windows are designed from maintenance-free materials that never rust, rot, or need replacing. Code-Compliant: Satisfies the IRC 2018 emergency egress building code requirements in a finished basement. 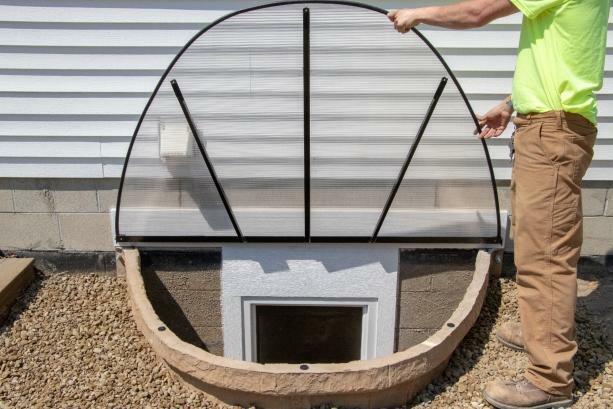 Easier Access: Accommodates a greater height range than the average egress window well. Home Enhancing: Provides a beautiful open space that makes a basement room feel larger and brighter, adding great curb appeal and an aesthetically pleasing view both inside the house and outside. Added Safety: Built-in safety-steps to allow for an easy emergency exit. In window wells that are deeper than 44 inches below ground level, IRC Egress Code requires there be steps or permanently affixed ladders to accommodate exiting the basement. 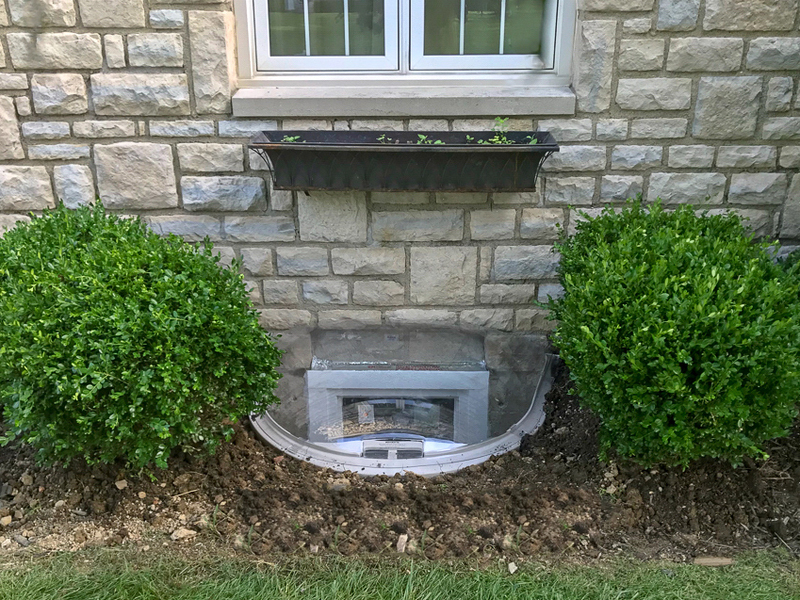 Installing emergency basement egress windows and wells is just one of the many ways Ohio Basement Authority can assure safety and security in your home. We offer both RockWell and Bilco egress windows and wells that not only assure a quick exit in an emergency situation, but also add quality, beauty, and value to your finished below-grade space. If you have a finished basement or are looking to finish your basement in the future, call the egress window experts at Ohio Basement Authority. We can install basement egress windows and wells that follow strict IRC guidelines and improve the quality of your home overall. Schedule a free emergency egress window estimate in Columbus, Springfield, Mansfield, Lancaster, Newark, Westerville, Chillicothe, Marion, Dublin, Zanesville, & nearby in Greater Columbus.